Is there anything better than a nighttime hyper-lapse of a sparkling city? 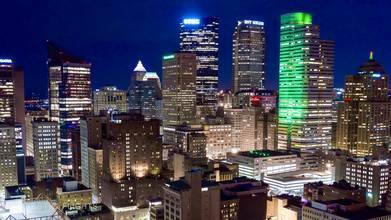 Majestic brings us views of Pittsburgh, Pennsylvania as it glows through the lights of a buzzing city. See the U.S. Steel Tower, BNY Mellon Center, One PPG Place, 5th Avenue Place, Tower at PNC Plaza, and several of the city's numerous bridges spreading across the Ohio and Monongahela rivers light up the largest city of the USA's Appalachian region in this 4K aerial piece. Description: Pittsburgh Timelapse-Hyperlapse night drone in 4K resolution. Pittsburgh’s people, skyline and architecture are amazing and lovely. Contact: MajesticFlights@yahoo.com © Copyright 2019 and all rights reserved by Majestic Flights.